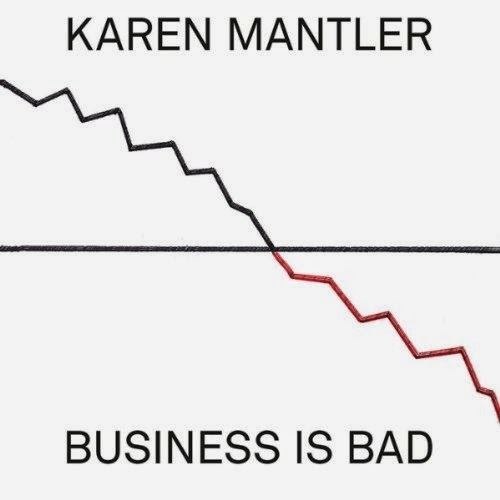 bebop spoken here: CD Review: Karen Mantler - Business is Bad. Karen Mantler (vcl/pno/hca); Doug Wieselman (gtr/bs.clt); Kato Hideki (bs). I listened and didn't like it. I passed it on to another reviewer who didn't like it either. I listened again and had to admit there was an almost elusive quirky charm about it. Not enough for me to tell you to go out and buy it but at least enough to suggest you give it a listen and make up your own mind. In actual fact I found reading the words from the booklet brilliant and much more interesting than hearing them sung! Maybe I should treat them as poetry rather than songs! Judge for yourself from these samples. Karen Mantler - Business is Bad is available on ECM/Xtra WATT 3768680.